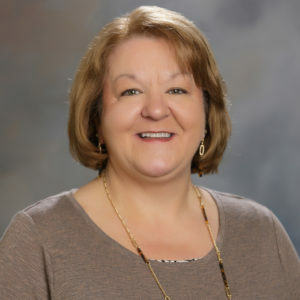 Julie Bennett has served on the Marion County School Board since 2008 and has been the chairman since 2015. She has served as a TN Promise Mentor since 2014, a Marion County Career Symposium presenter for three years and served on the Marion County Business Tech Craft Committee for seven years. She has served as a member of South Pittsburg Rotary Club since 2001, on the Board of Directors since 2008 and the President from 2012-2013. 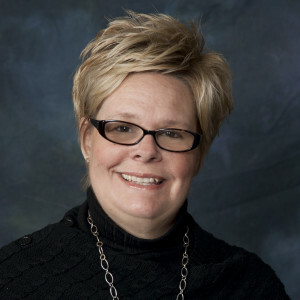 She is a member of the Marion County Chamber and served on the Board of Directors from 2003-2005; and has been a member of Kimball Baptist Church since 1997 and served on the Personnel Committee Chair from 2015-2016. She was a member of TN Association of College Registrars and Admissions Officers (TACRAO) from 1995-2000 and served as President from 1999-2000. Julie attended Covenant College and graduated is a Bachelors of Science in Organizational Behavior. She is a Director at Chattanooga State Kimball. Julie and her husband, Neil, have two children. Marty Burlison first served on the Tipton County Board of Education from 1985 - 2004. In 2012, he returned to the School Board where he now serves as Chairman. Marty became Vice-Chairman of the School Board in the late 1980’s and served until 2004. Marty is a graduate of Covington High School in Tipton County and has been a Farmer all of his life. He is a former member of the Tipton County Farm Bureau Board of Directors. He and his wife, Camille, have three children, Carla, Jonathan, and Elizabeth. He also has two wonderful grandchildren, Drake Anderson and Burlison Frazier. During his free time he enjoys golfing and duck hunting. 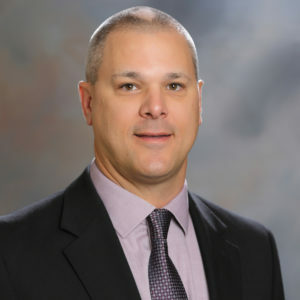 Jimmie Garland serves as the TSBA Mid-Cumberland District Director. He served as TSBA At-Large Member in 2015. He has been a member of the Clarksville/Montgomery County Board of Education since 2001. He serves as the current board vice chairman 2016-2017 and served as board chairman from 2014-2015 and 2010-2011. Other boards for which he has served are: President of the Clarksville Branch NAACP 5582 from 2001-Present; Vice President of the TN State Conference NAACP from 2006-Present; and Clarksville Big Brother Big Sister from 2001-2006 and as chairman in 2006. He currently serves as a voting member of the Diversity Committee at Austin Peay State University. He is an associate minister of the True Vine Worldwide Gospel Church and served as a mentor for TN Achieve in 2014-2015. He received his Bachelor of Science Degree in Management from Bethel University. Jimmie retired from the U.S. Amy at the rank of Chief Warrant Office 4, after twenty-nine years of service. He and his wife, Reverend Jane Garland have three grown children and six grandchildren. 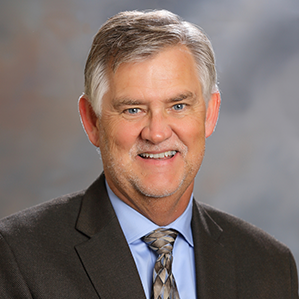 Todd Ganger has served on the Washington County Board of Education since 2008 and served as chairman 2014-2016. 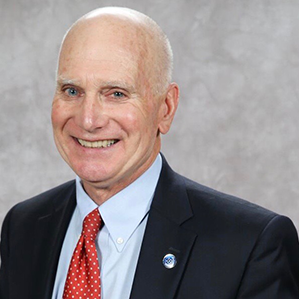 He is chairman of the Insurance Committee and as the Chairman of Athletics, Bid Review. He has been active on various other committees, including: Facilities, Family Life, Inservice, Safety, and Collaborative Conferencing. He initiated a Reimbursement Task Force to help Washington County teachers further their education. Todd is employed by the Johnson City Power Board and enjoys playing golf in his free time. He has two children, LaRue and Joe. Bobby Henderson has served on the Hardeman County Board since 2006 and has been the chairman since 2013. He was the vice chairman from 2010-2012 and has been the representative for the Tennessee Legislative Network since 2008. He has served on the Budget Committee from 2010 – 2015; Insurance Committee from 2011 – 2012; and the Tennessee Technology Advisory Board from 2006 – 2010. Other committees for which he has served are: Chairman of the TN Forest Festival from 1992 – 1994; Chamber of Commerce from 1986 – 1990; and Miss Forest Festival Scholarship Committee from 1993 – 1996. Bobby attended the University of Memphis and graduated from William R. Moore College of Technology. He is the owner/partner of Henderson Heating and Air. Bobby and his wife, Mary, have two grown children, in addition to a granddaughter. Candy Morgan first served as 2018 At-Large Member before being appointed as East District Director. Candy has served on the Maryville Board of Education since 2012 and has served as Vice Chairman since 2016. She served as Board Secretary in 2014-2016 and as TN Legislative Network Representative since 2012. She served on the TN Legislative Action Committee; TSBA Journal Editorial Advisory Board, SCOPE Group Leader, and as a TSBA Ambassador of Education. She has served as the Maryville City Schools Foundation Chair in 2012; Vice Chair in 2011 and Ex-Officio Member 2013-2017. 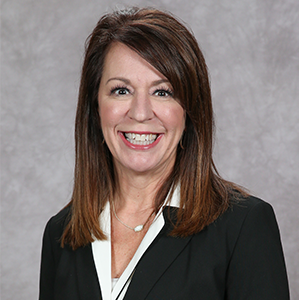 She is the Past President of four Parent/Teacher Organizations at local schools, has achieved level IV in the TSBA Boardsmanship Program and has served as a TSBA Convention presenter. She is active in her community having served on the Junior Service League in 2004-2010 and Leadership Blount Class of 2013. She is a founding member and current board of director for Blount County Youth Court since 2013. She has served on the Educators Roundtable for Blount Partnership Workforce Board since 2017. She also is the Chair of the Leadership Blount Alumni Committee. Candy has a Bachelor of Science degree from Troy University. She enjoys photography as a hobby. Candy and her husband, Pat, have three children, Hannah, Emily and Will. 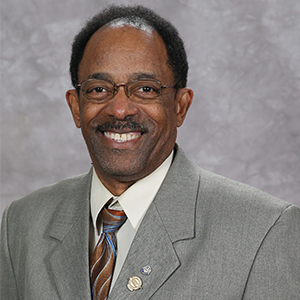 Dr. Lee Carter first served as 2018 At-Large Member before being appointed as Northwest District Director. Lee has served on the Huntingdon Special Board of Education since 2000. He is the current Board Chairman, having served since 2004. He served as Vice Chairman 2002-2004 and as Secretary 2000-2002. He is a family physician at R.B. Wilson Medical Center in Huntingdon. 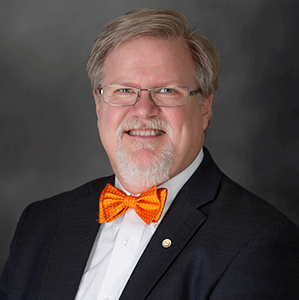 He received his Bachelor of Science degree from David Lipscomb College and his Medical degree from the University of Tennessee College of Medicine. He is very active in his church and in his local and medical community. He has been an active participant in working with the American Cancer Society. Lee has lectured on many medical topics, served on multiple medical committees and boards, and has written numerous medical books and journals. He has received many personal honors and professional awards throughout his career. Lee enjoys music and is a part of a Local Men’s Ensemble, All Walks of Life and a Southern Gospel Group, Victory Quartet. He and his wife, Teresa, have two children, Rachel and Kate, in addition to one granddaughter, Natalie. Regina Waller has served on the Trousdale County Board of Education since 2006. She served as Board Chairman from 2009-2010 and again in 2012-2013. Before that, she served as the Board’s Vice Chairman from 2008-2009. In 2014, she was named to the All Tennessee School Board. Regina’s current occupation is a Director of Activities. She is a direct product of the school system that she serves, having graduated from Trousdale County High School. She is an active community volunteer and leader that has served as the County Chairperson for Relay for Life Events from 2000-2006. She is also active in the Trousdale County Parent/Teacher Organization, where she has served as President. Regina and her husband, Bryant, have one teenage son, Jon. Pat Welsh has served on the Tullahoma Board of Education since2000. He has served as Board Chairman since 2011 and has previously served on the Tullahoma City Schools Maintenance and Finance Committees. He was elected to the TSBA All Tennessee School Board in 2017. Pat is very active in his community having previously served as a coach for youth wrestling and football and for Little League Baseball. In 2017, he was inducted into the National Wrestling Hall of Fame. 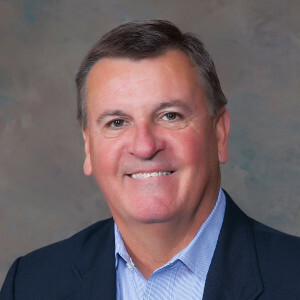 He has also served as: Alderman for the City of Tullahoma, 1985-1988; President for the Chamber of Commerce, 1989; Member and Chairman of the Tullahoma Industrial Board; and Director of 1st National Bank, 2003-2005. He also currently serves as a Sunday School Teacher at Trinity Lutheran Church, Board of Director for the Elk River Valley Fellowship of Christian Athletes and is a member and former Board of Director for the Tullahoma Rotary Club. Pat works in sales with Lumberman’s Wholesale Distributors. He and his wife, Beth, have three children; John, Martha, and Michael, along with one grandchild, Carter, and another on the way. The mission of the Tennessee School Boards Association is to assist school boards in effectively governing school districts. Through the years, TSBA has helped school boards and their members reach their highest potential through association programs, meetings and services. TSBA also provides school board members a collective voice in matters of legislation and public education concerns.